injured and 600 houses damaged as a tornado lashed 15 villages of three unions of Juri upazila in Moulvibazar Thursday afternoon. The acronym GLOF is used for glacier floods caused by the drainage of naturally dammed lakes in the glacier, on or at the margin of glaciers. Glacial lakes form when a glacier retreats, leaving the debris mass at the end of the glacier – the end moraine – exposed. The principal reason for floods in the country lies in the very nature of her natural ecological systems- the monsoon. 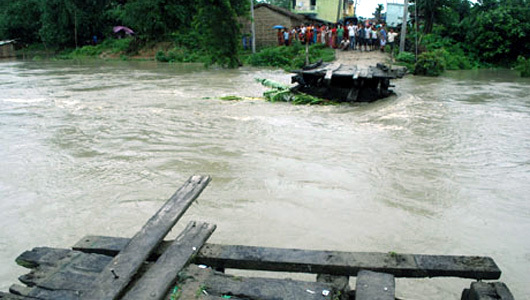 Sedimentation of river beds is not considered a major factor contributing t o flooding in Sri Lanka . However, due to land use changes in the watersheds, sediment loads could increase in the future.